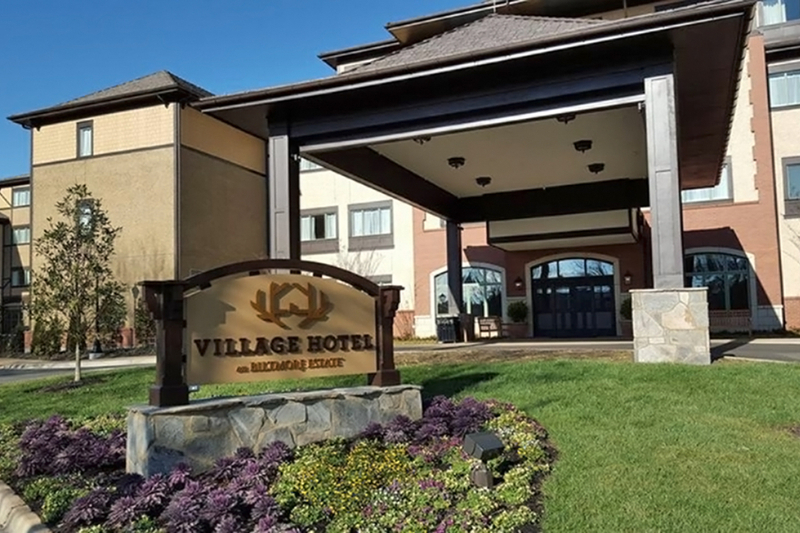 Architect: PGAV Destinations, Peckham, Guyton Albers & Viets, Inc.
Antler Hill Village Hotel is a luxury hotel located on the grounds of the Biltmore Estate in Asheville, North Carolina. 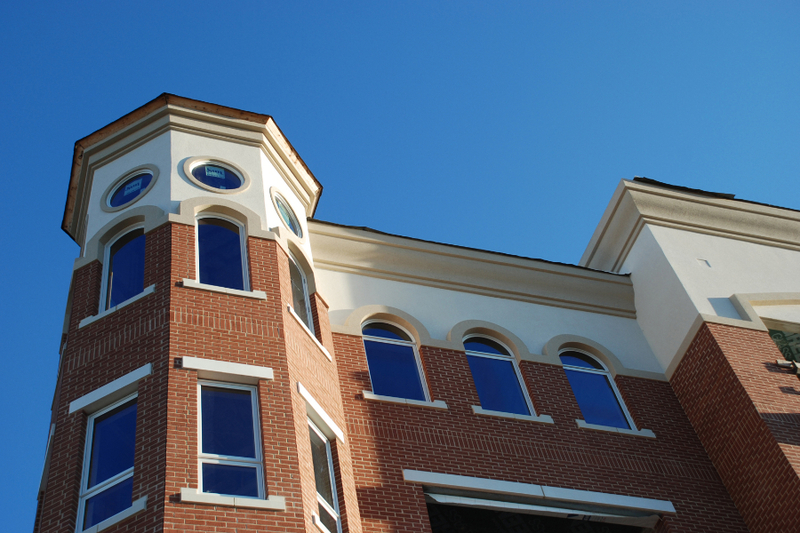 Sun Windows was specified for this high profile project. 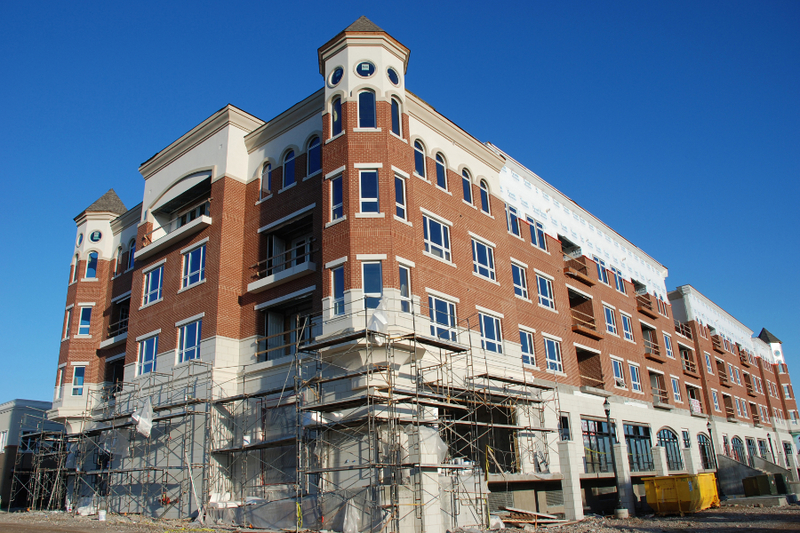 This was a large project requiring 7 semi-trailer loads of windows. 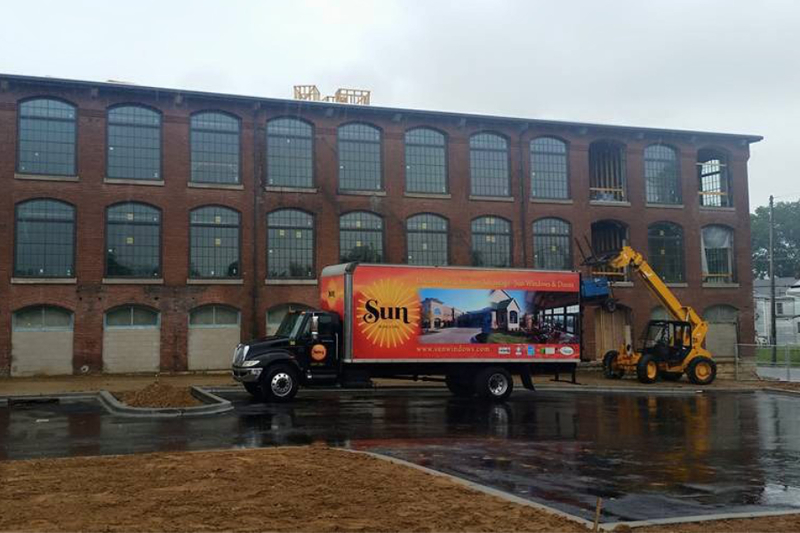 Sun worked in perfect coordination with the contractor and installer, delivering windows on time and as needed. 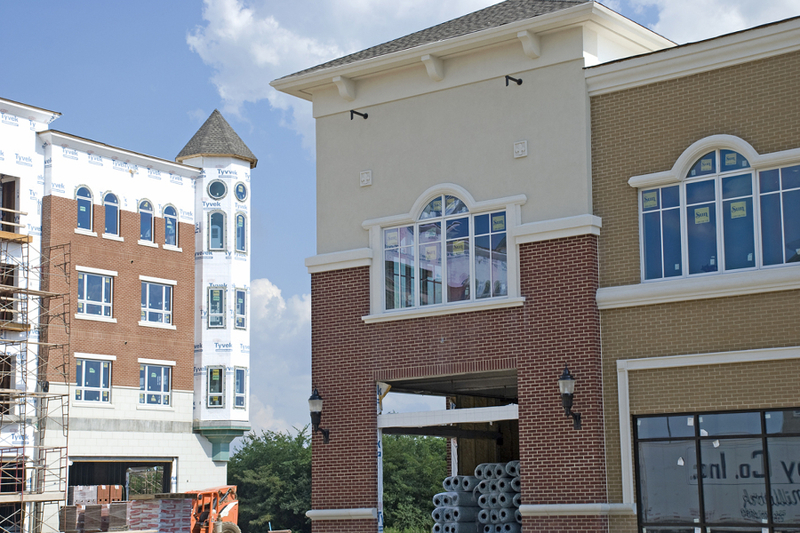 This successful coordination helped in making an on schedule opening and a happy developer/owner. 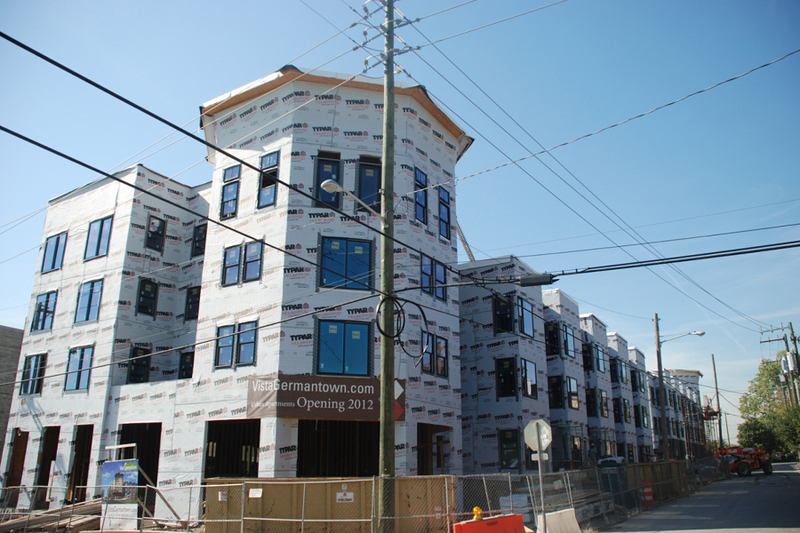 Vista Germantown is a mixed-use development that takes up an entire city block in downtown Nashville, Tennessee. 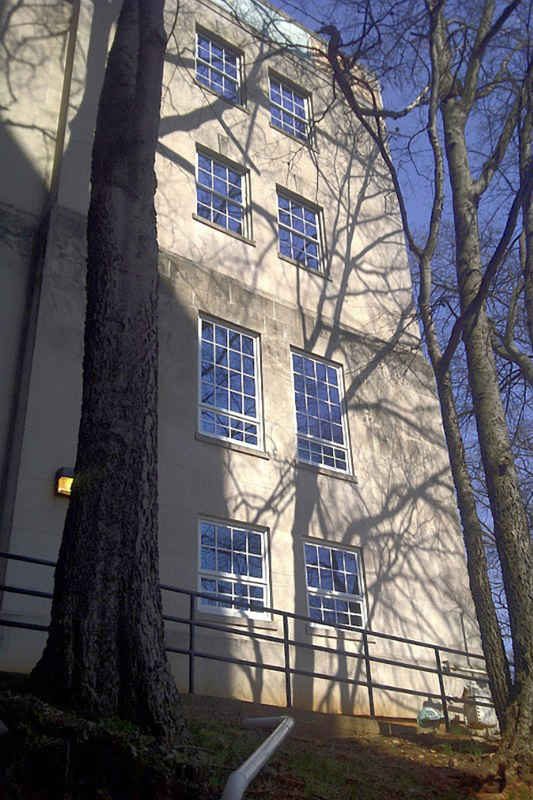 The building is five stories tall with around 800 door and window units. 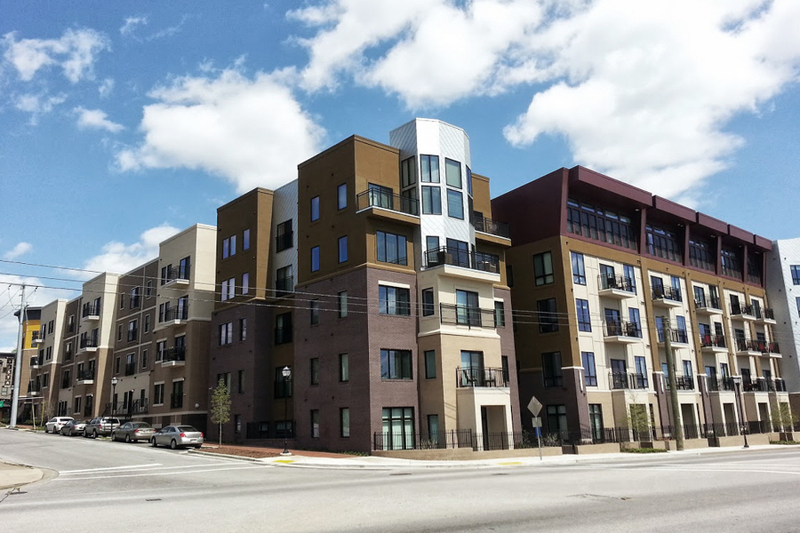 Because of this being an “infill” project in a heavily populated metro area, a crane was constructed in the center which facilitated the movement of raw materials to all the different elevations and areas including the doors and window units. 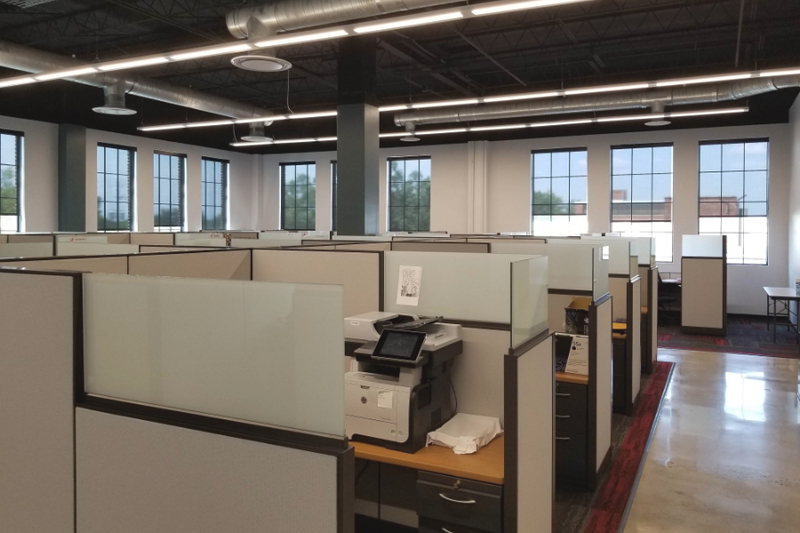 The project was done in phases and took a little over a year for the completion of window installation from the order date. 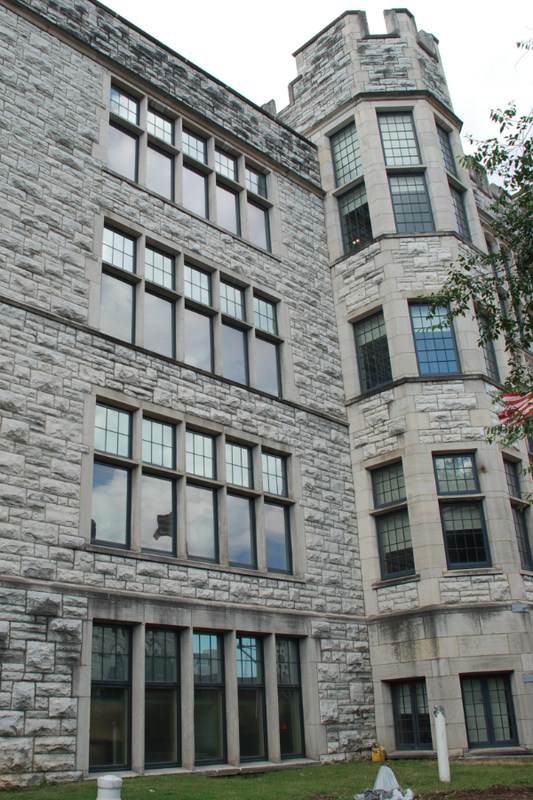 There were seven different exterior veneers which created exacting specifications for the windows and doors, such as varying jamb depths used in different parts of the building. 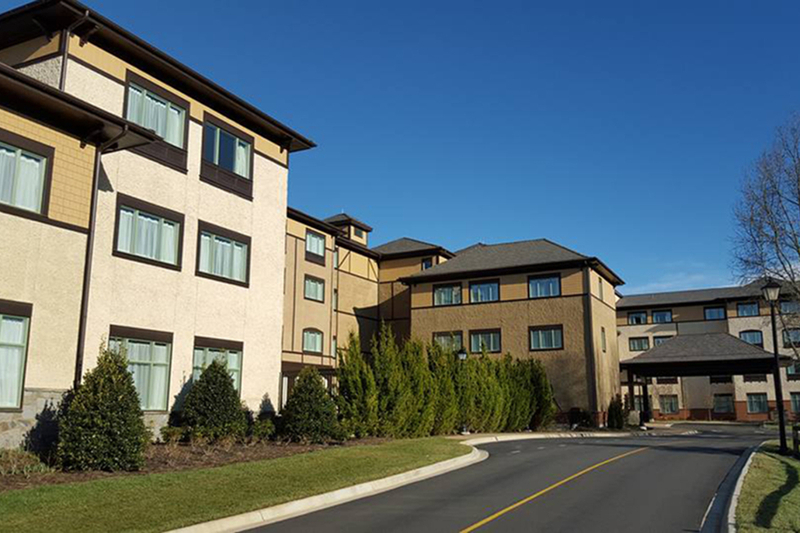 Because of the unique and varying product types, the contractor requested and Sun provided an onsite installation course for the installers. The result was a superior installation. 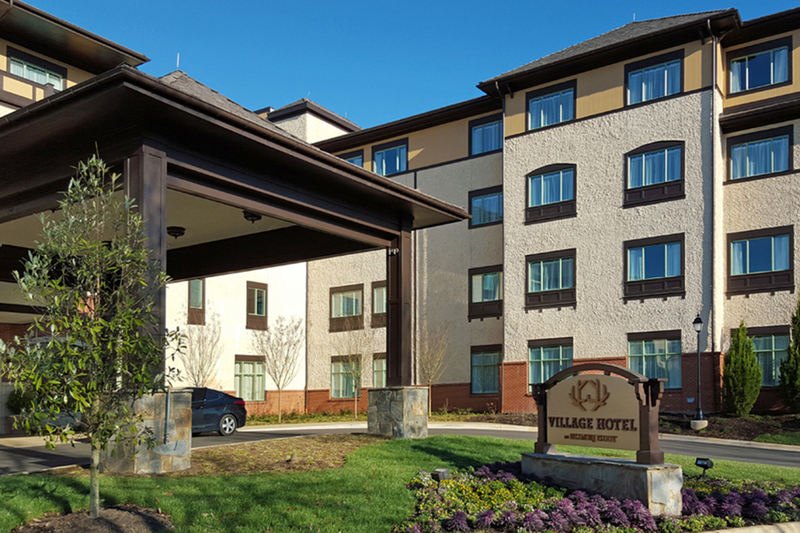 Products used for Vista Germantown were Clad Double Hung windows, Clad Casement windows, Fixed Lite windows, Sliding doors, and Hinge doors. 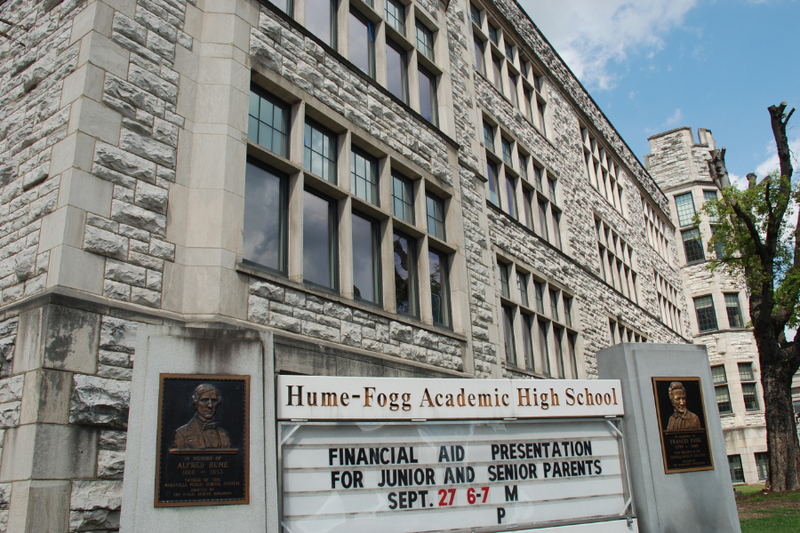 Hume Fogg high school, located in downtown Nashville, is ranked number 77 in the National High School Rankings and number 2 in the state of Tennessee. 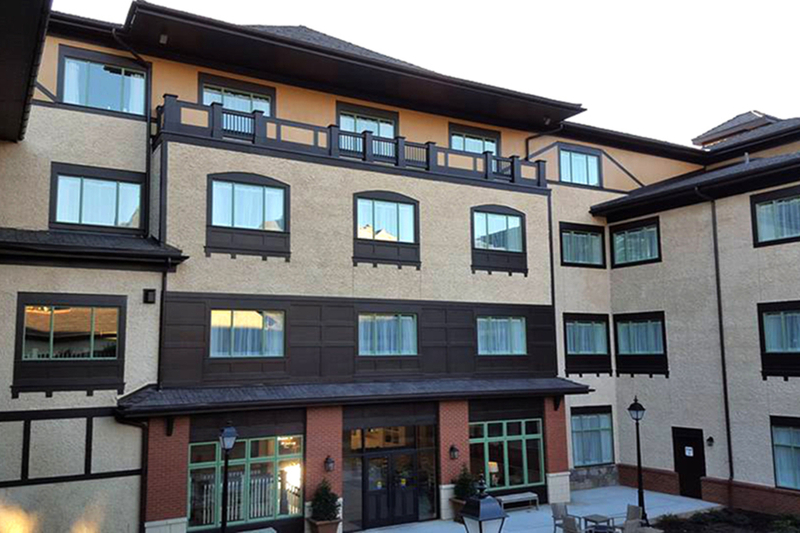 The project was completed in phases, with work done at night and on weekends. 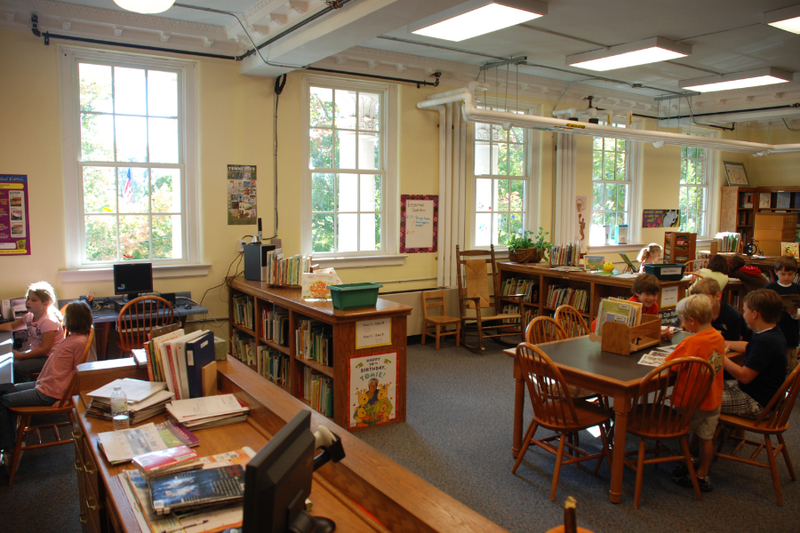 The project started at the beginning of summer break 2017 and ended around January of 2018. 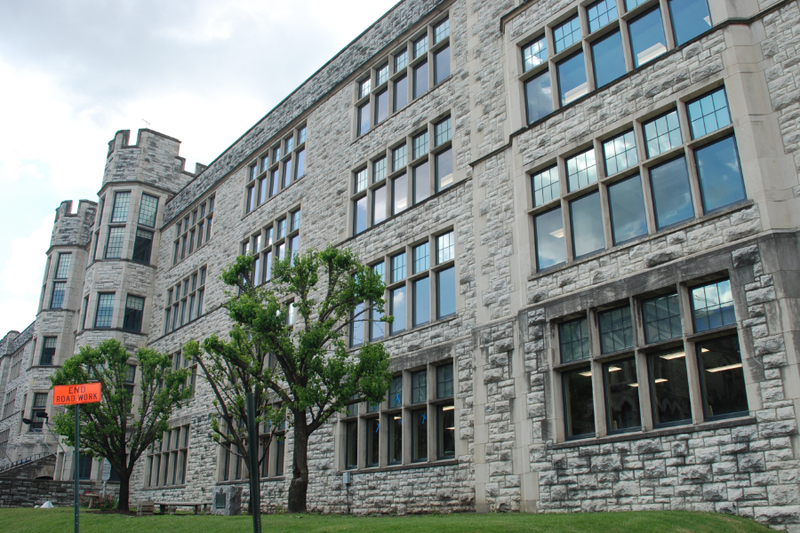 The project, included paint and asbestos abatement, which caused the project to take a little while longer considering the large number of windows. 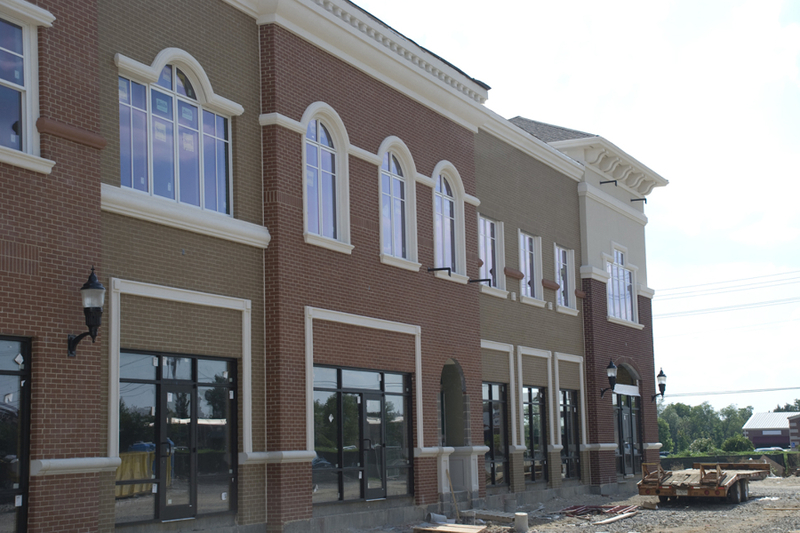 The project took about 90 business days from the time the windows were measured to the time they were installed. The blueprints for the project dated back to the early 1900s and were used to establish the original style of the windows used in the building. 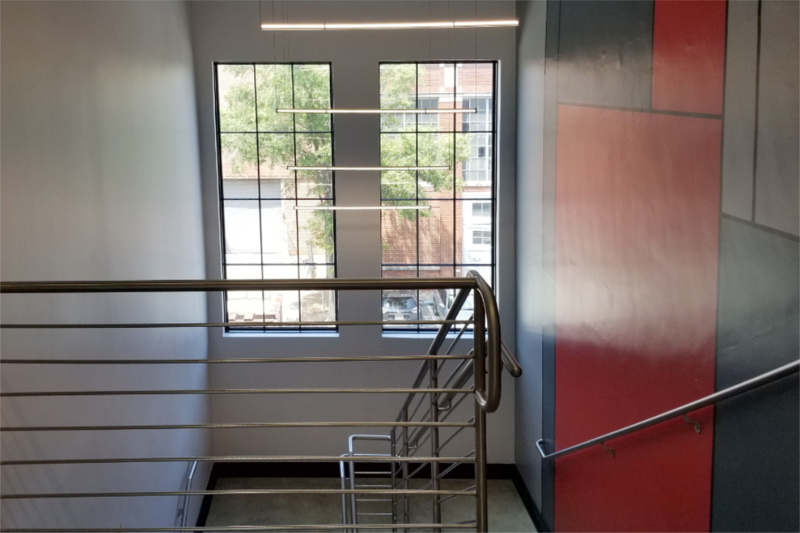 The architect dictated the use of a unique glass package in some of the units to provide no Solar Heat Gain and to conceal ceiling transitions. 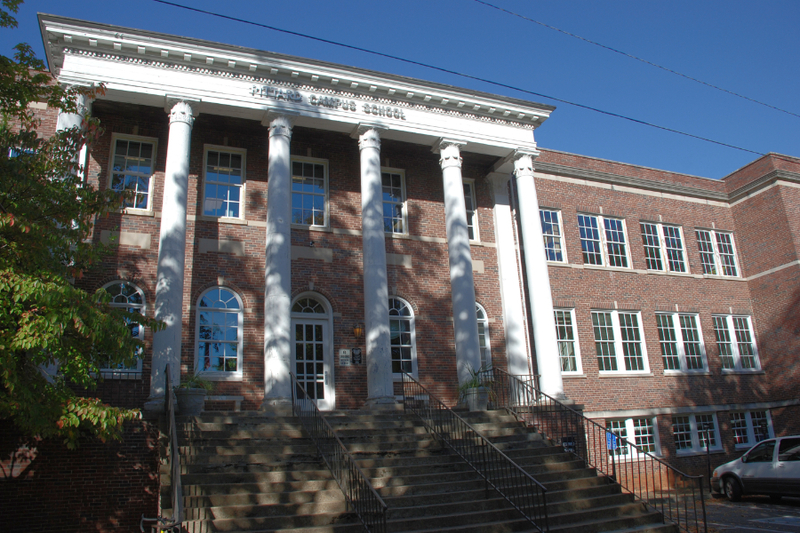 Homer Pittard Campus School is an elementary school located on the campus of Middle Tennessee State University in Murfreesboro, Tennessee. 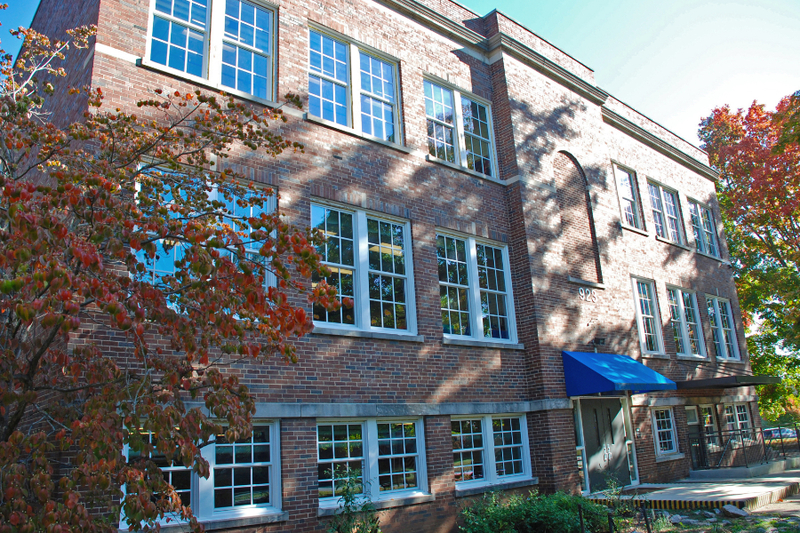 The products used were Double Hung pocket replacement windows, which means that the existing frame was still used. 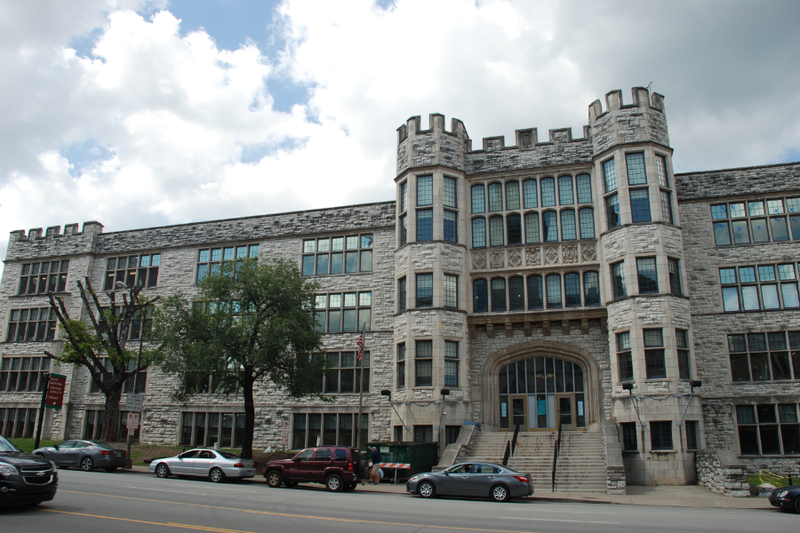 Despite the paint and asbestos abatement, the project was completed during the school’s 8-day spring break. It required tight coordination between Sun and the contractor. The contractors worked day and night to get the project completed before the break was over. The school principal told us no one believed the project would actually be finished when they came back to school. The principal, teachers, and staff of the school were all flooded with emotions of happiness at how well the project was done in such a short amount of time. In 2012, Western Kentucky University was proud to host a special exhibit from China. Sun used a specialized glass package to inhibit UV light transmission. This helped protect a rare artifact in the exhibit from ultraviolet light exposure. The project, which took sixty days, was completed right on time for the showing. 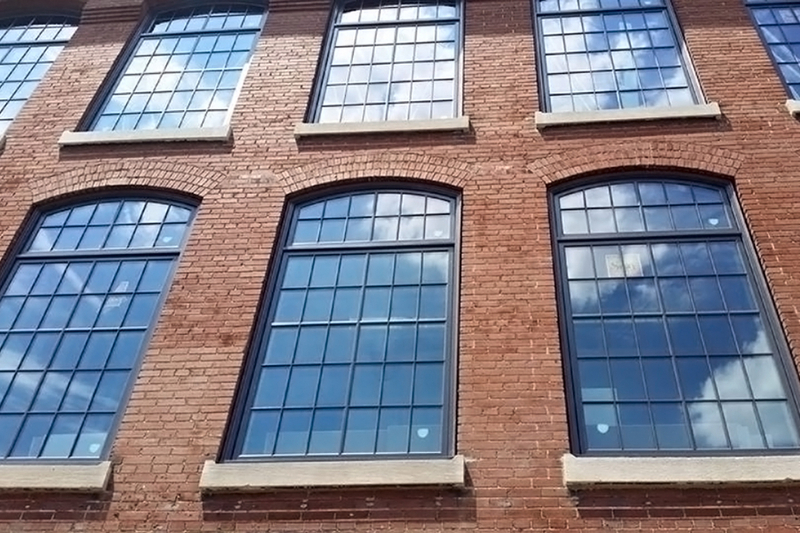 One window type was made up of six different pieces with a custom radius and measurements. The building was limestone, causing the installation to be tedious. 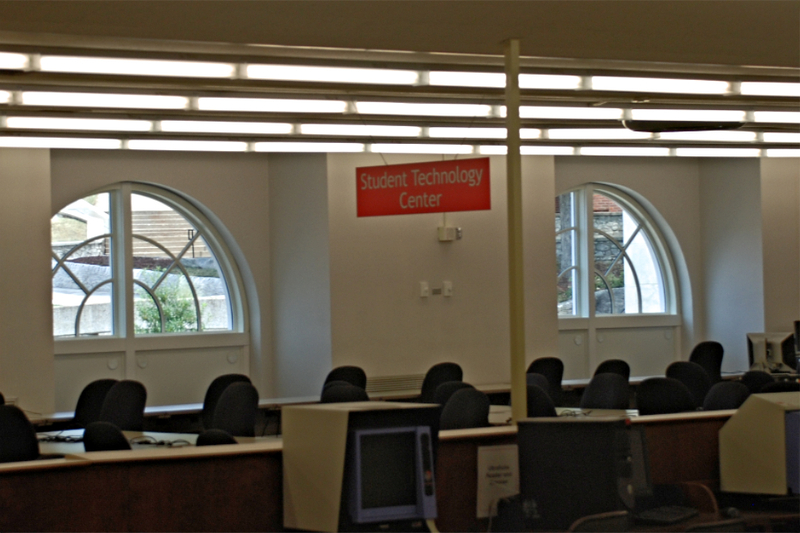 Sun had to design these 7’x14’ customized six-piece windows to be functional. 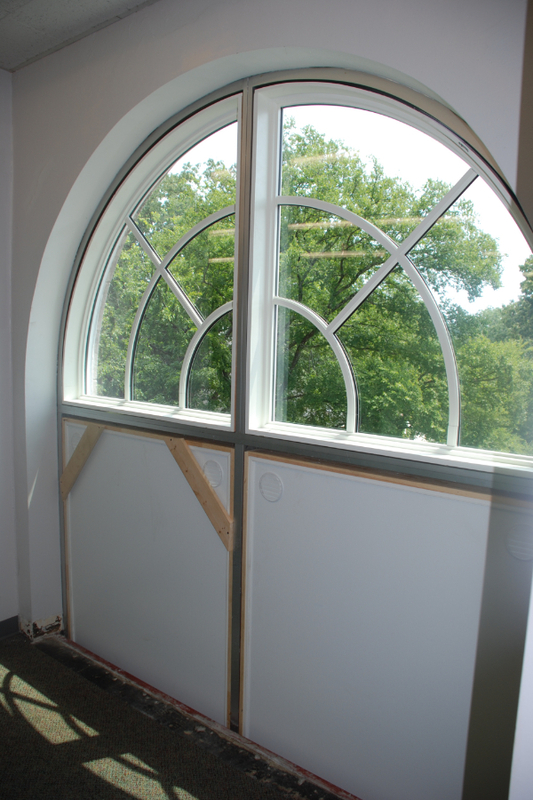 Sun devised a panel in the back of the window that adapted to the floor systems of the old building. This system also prevented heat buildup in this unusual application. 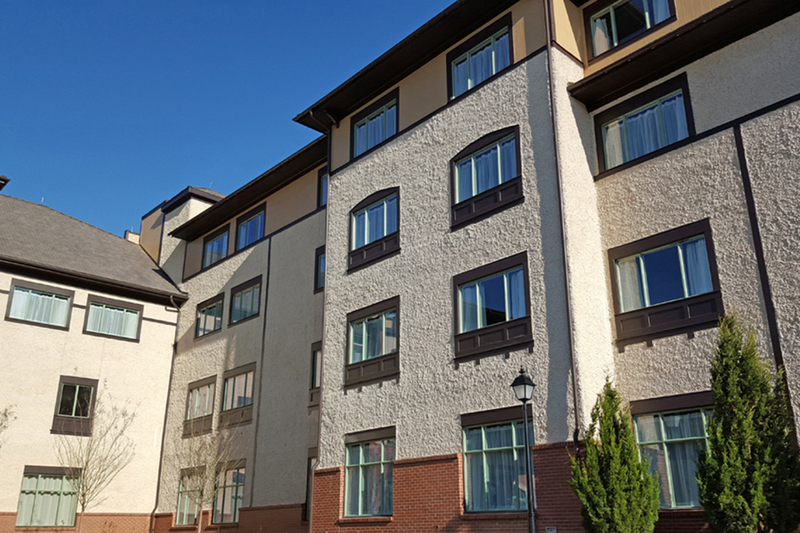 Additionally there were hundreds of steel framed single pane windows built into the walls that were replaced with Sun’s new construction Easy Tilt double hung window. 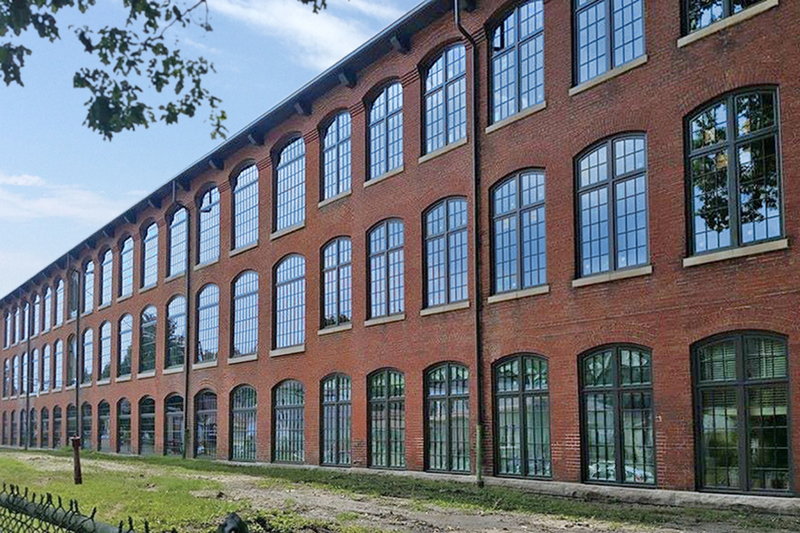 The Germantown Mill Lofts is a renovation of the Cotton Mill located on an entire city block on Goss Avenue. 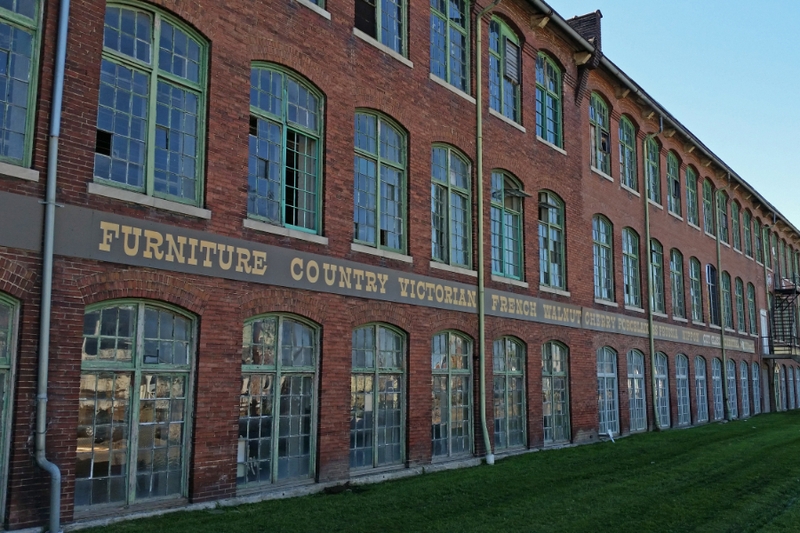 The Cotton Mill was built in 1889 in the Germantown Neighborhoods of Louisville and was used as a cotton mill until the 1960s. 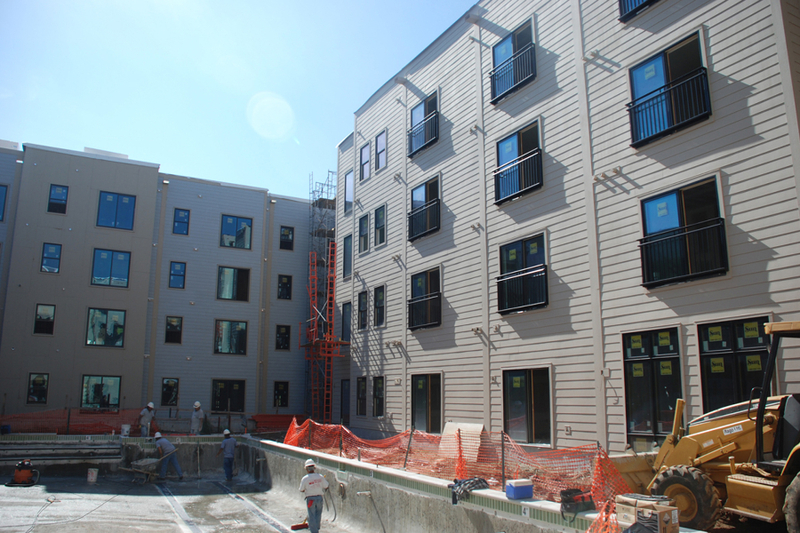 There are 184 modern apartments, a swimming pool, and on-site restaurant and bar. 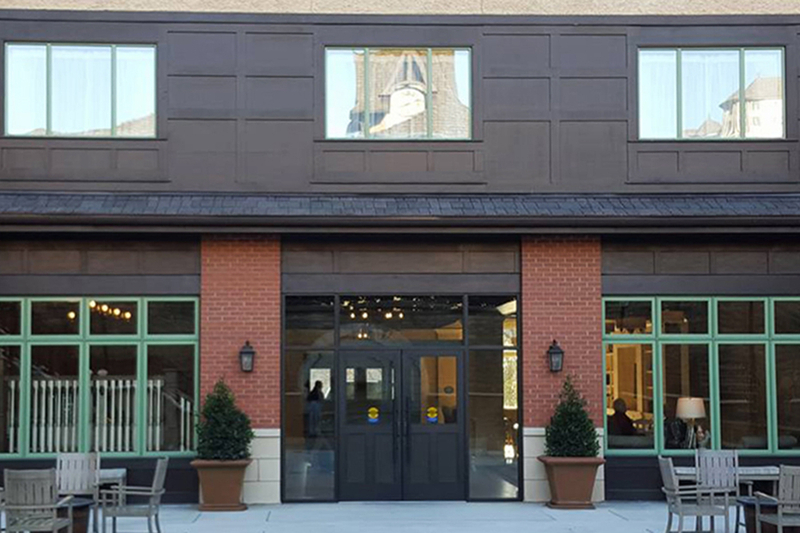 They were awarded the 2016 Preservation Kentucky Best Commercial Historic Preservation Award, 2017 LEO Weekly Winner of Best Apartment Complex, and 2017 Kentucky AIA Renovation Design of the Year Award. 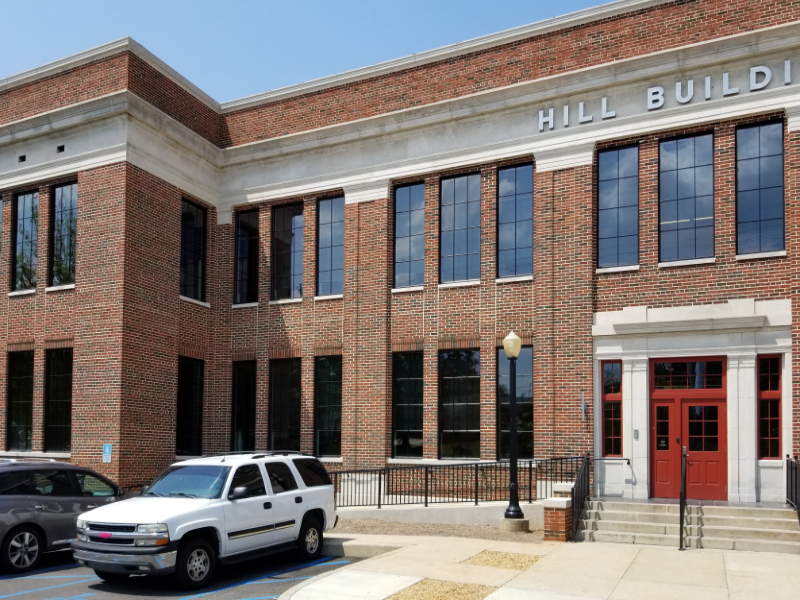 The windows produced for this project had to meet the criteria for the State Historic Preservation Office (SHIPO) and the National Historic Park Service. It took a year and a half of quoting, measuring, and building prototypes before the project was started. 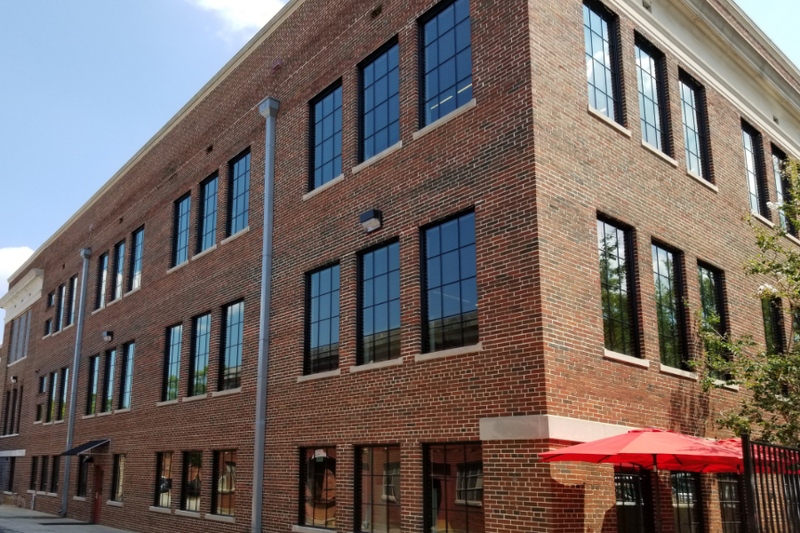 Since the second and third floors of the cotton mills were similar to the floors of the Sun Windows Company building, it was easier for them to produce the windows needed. 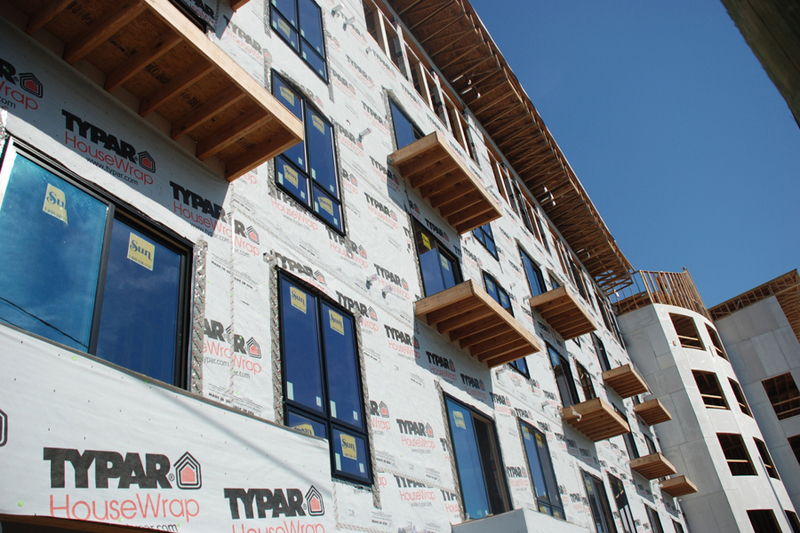 Sun reused the original frames and custom made each window to fit every opening in the building. 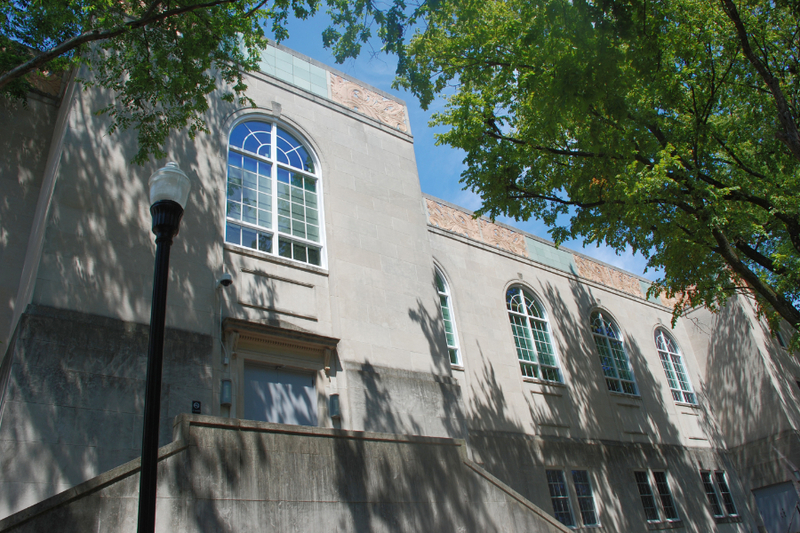 The primary windows were located on Goss Avenue and McHenry Street, while the secondary windows were located on the back. 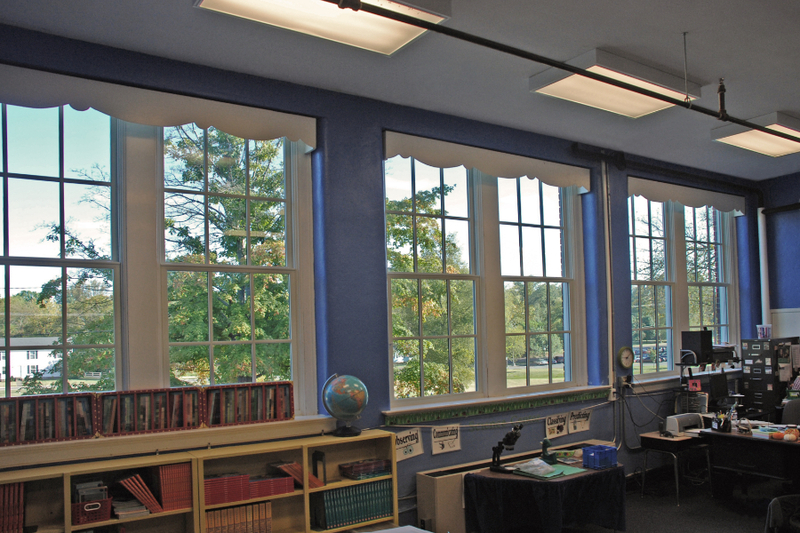 Sun custom designed modified direct sets for the secondary windows that still met the criteria for SHIPO and the National Historic Park Service. 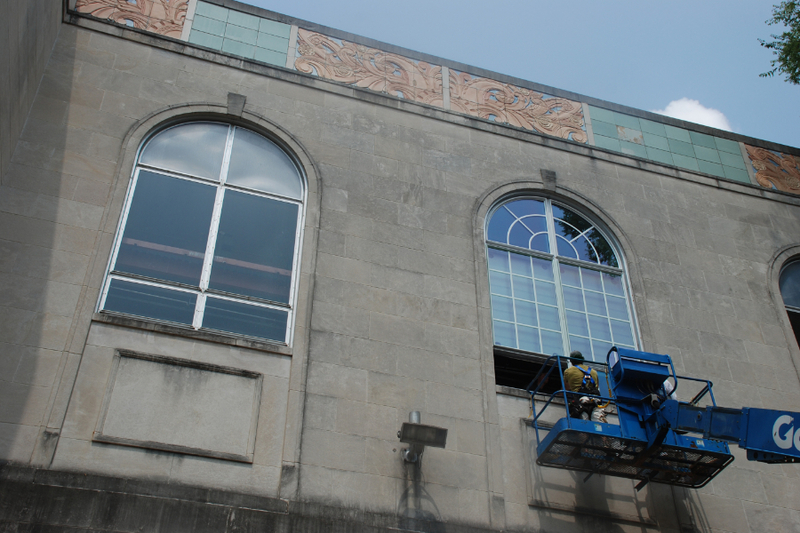 Sun also installed glass into 10,000 repaired existing steel windows. 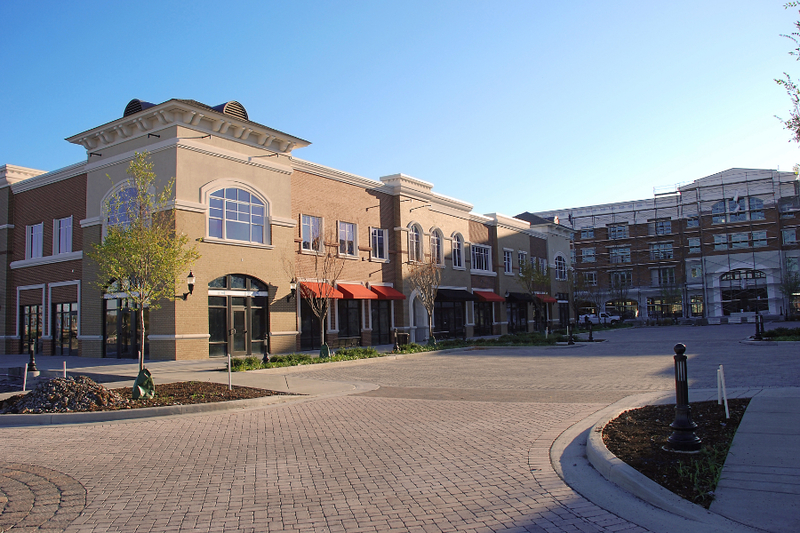 Gateway Village is a mixed-use development in Murfreesboro, Tennessee that is made up of three buildings. The project was originally specified with a competitor’s premium product, Sun was proposed as an alternate V.E. solution. The Sun products had to meet or exceed energy values comparable to the competitors. Sun was energy modeled into the project which resulted superior energy performance and being accepted as an alternate. 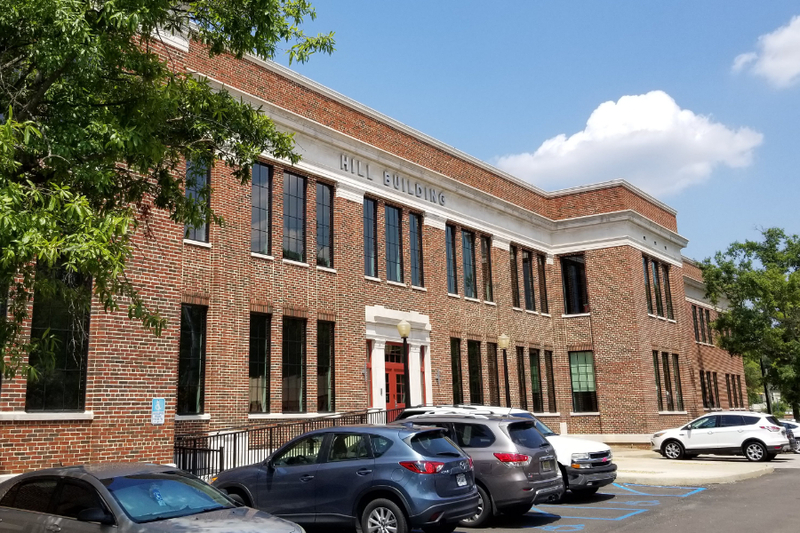 This was Rutherford County Tennessee’s first LEED project, the Sun product scored more LEED points than the competitor due geographic location and innovative manufacturing processes. Dealer and Installer: Dale, Inc.
Ram Tool is a construction supply company located in Birmingham, Alabama. 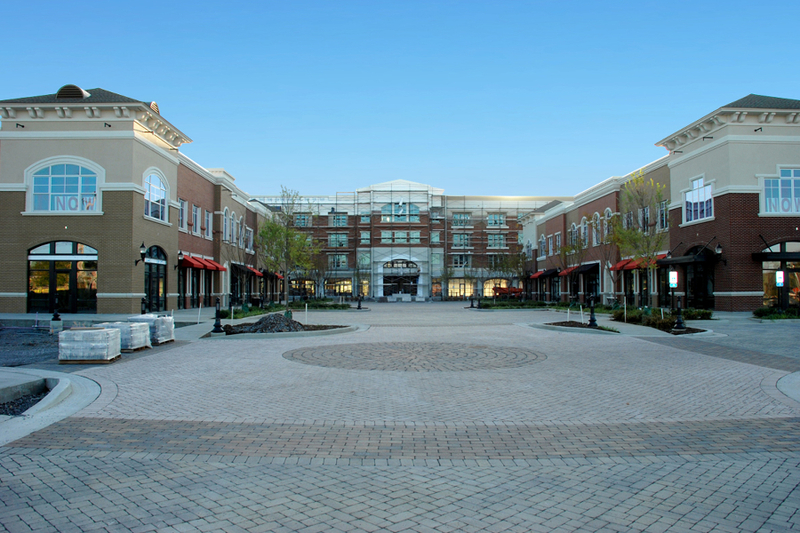 It is situated on a 28-acre industrial site originally built in 1925 and has been an ongoing revitalization project. The building that fronts the property is occupied by the Ram Tool corporate offices. 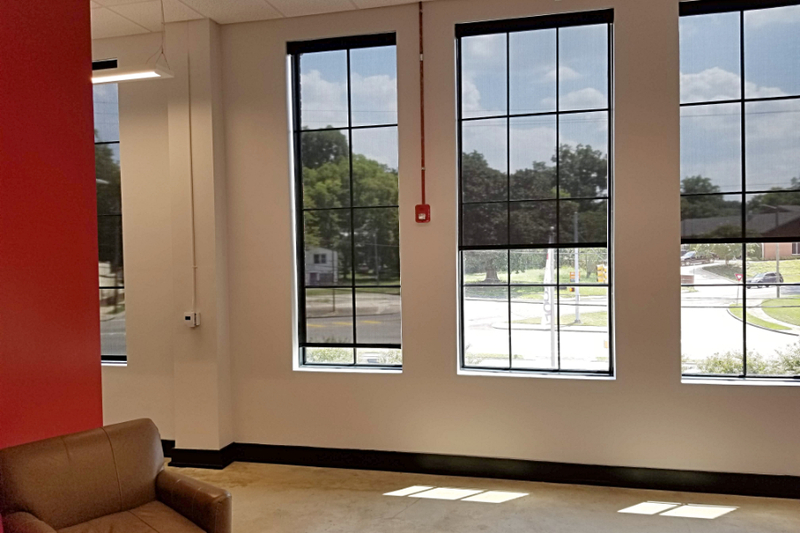 The general contractor, Brasfield and Gorrie, has a good track record with Dale Inc, one of Sun Window’s dealers. 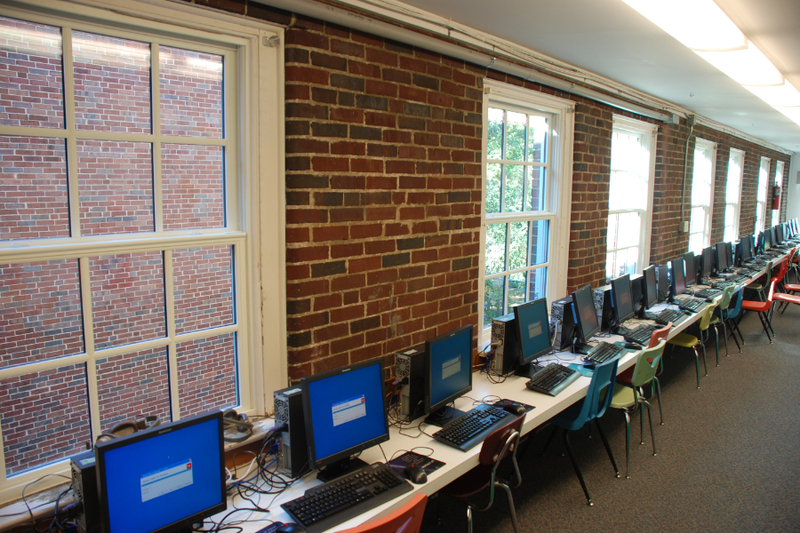 This allowed the contractor to single vendor source the windows and installation. 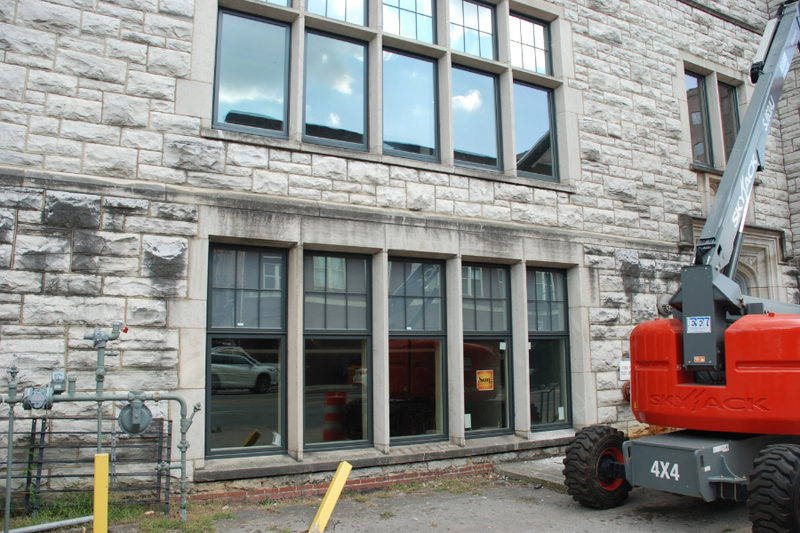 The building is historic and had old steel windows. 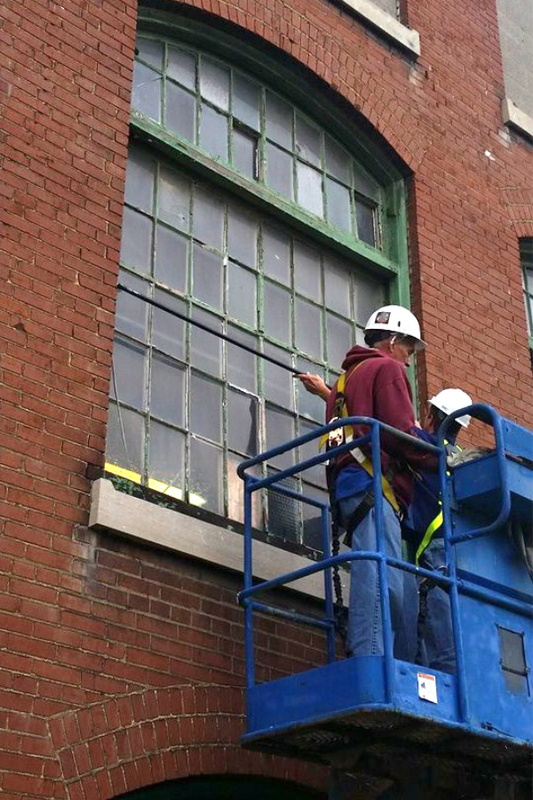 The project included a full frame tear out of the existing steel windows. 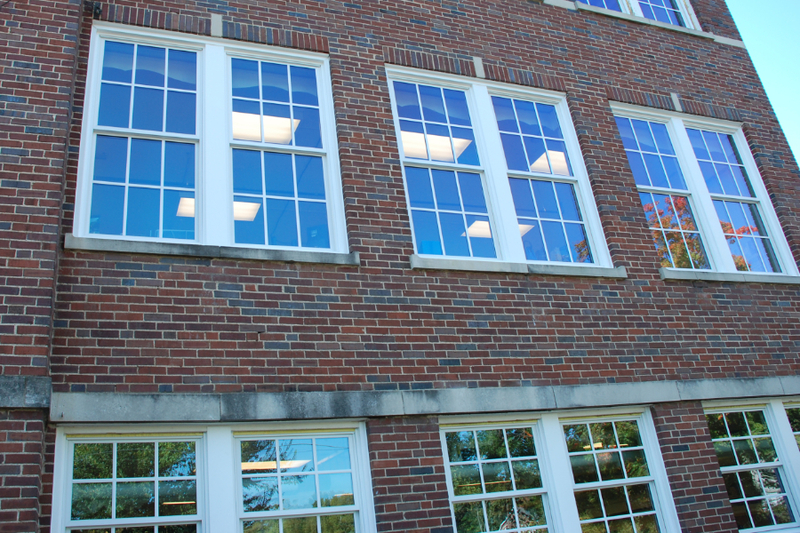 There were 265 Sun direct set window units installed. 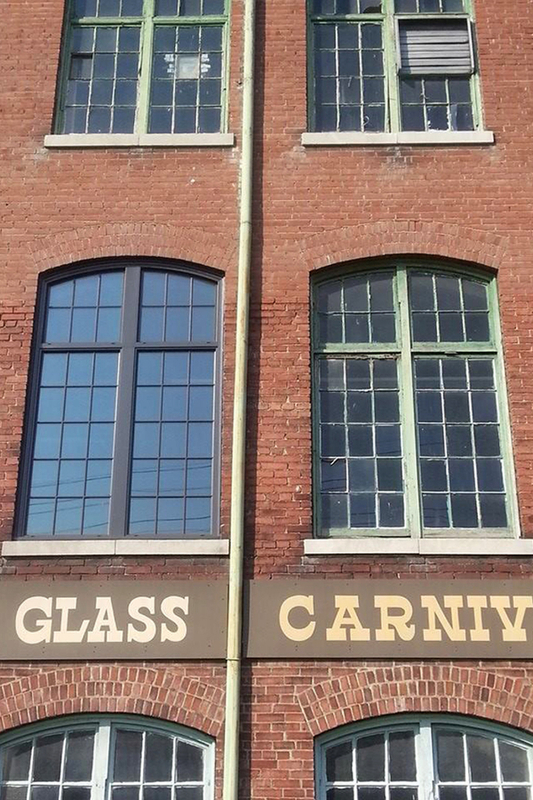 These units had 5/8th inch putty glazed simulated divided lites, which replicated the original steel window look. 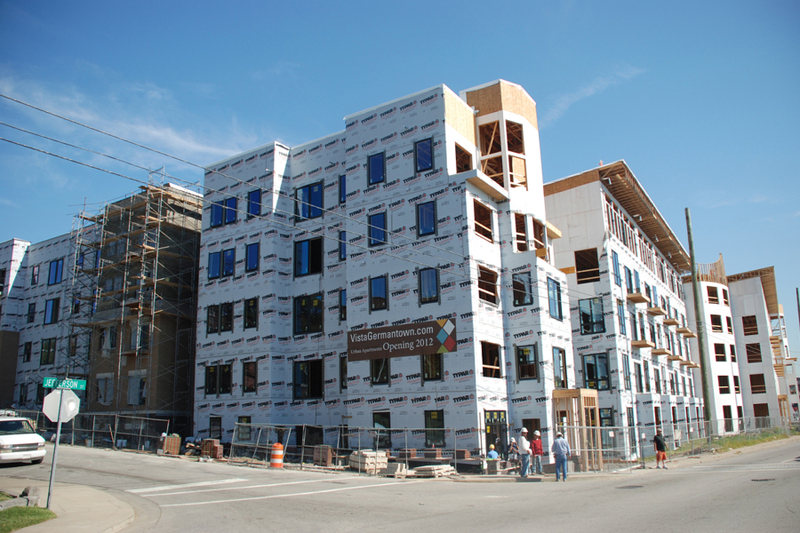 The main concern of the project was the brick and concrete in the building. 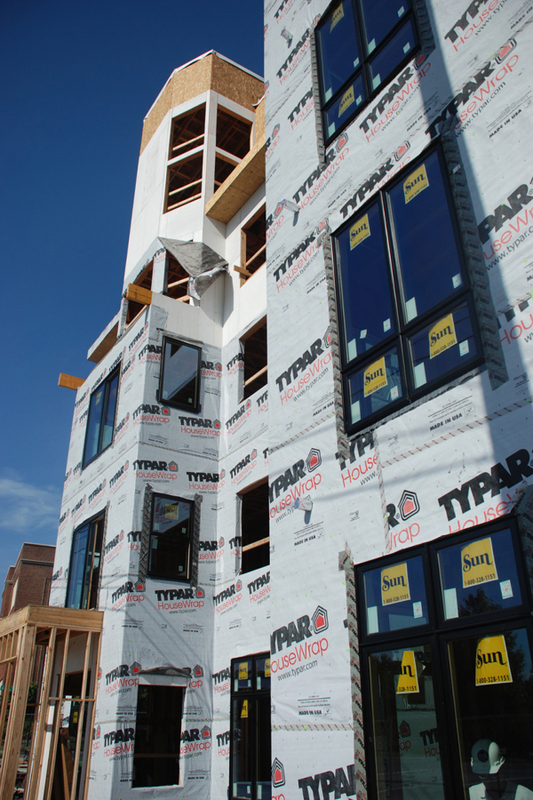 The sizing of the windows and installation were extremely critical. 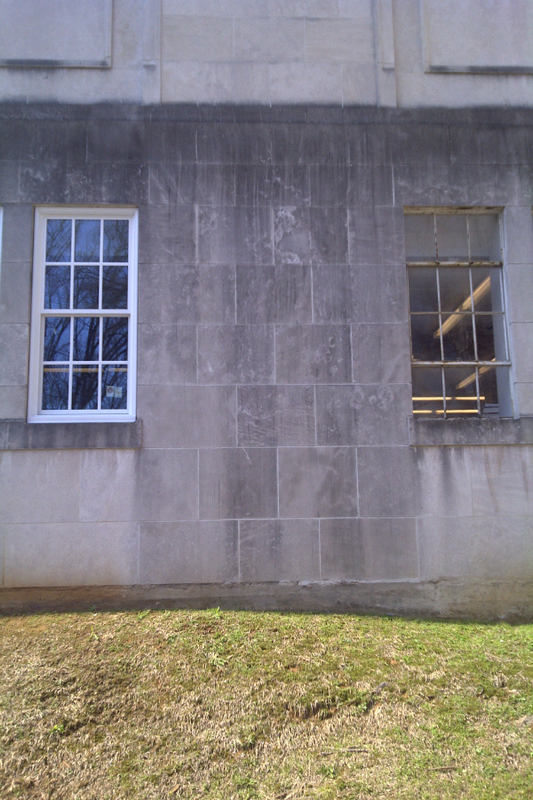 The size of the windows had to be exact as they could not cut the brick or concrete. The project required waterproof installation and caulking. 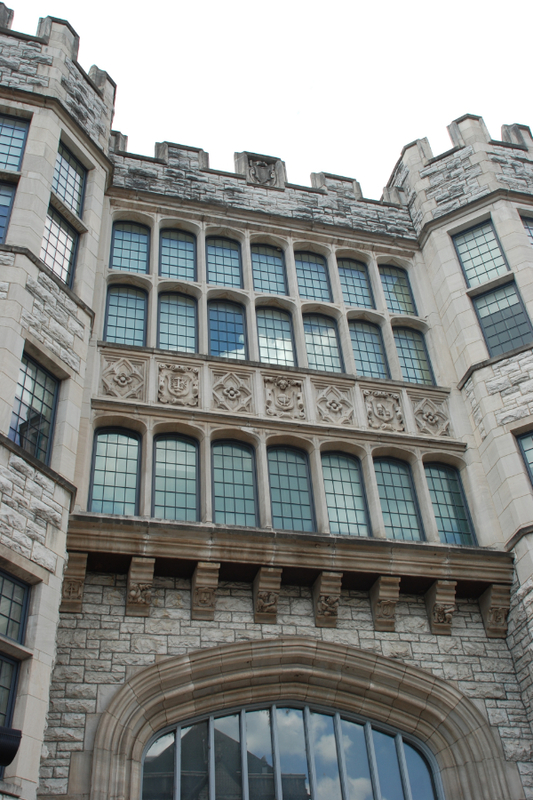 The majority of the windows were monumental sizes. The sizes ranged from 40 to 48 inches wide and 90 to 110 inches tall.